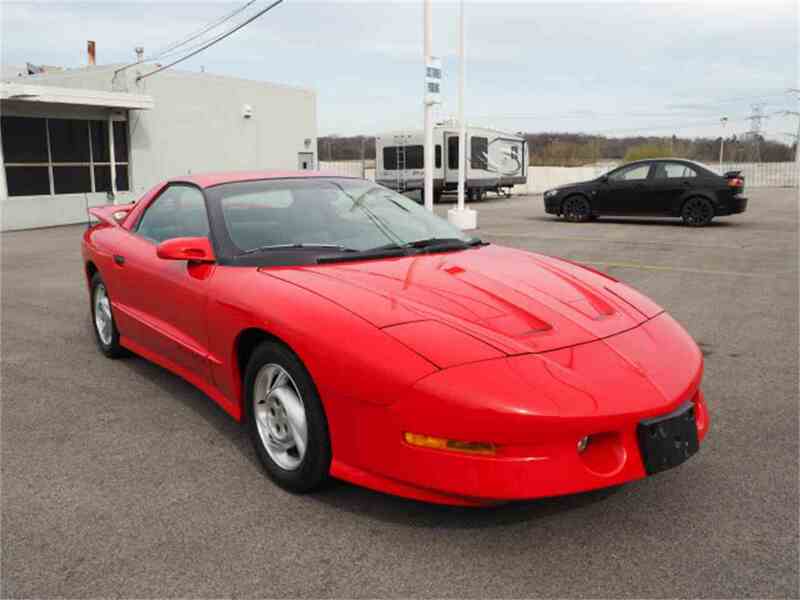 I've been getting more and more interested in picking up a Firebird over the last month, but I am STRICTLY interested in the "Knight Rider 2000" style nose not the Trans Am nose. this is all about the look (bright red firebird nose) and zero about the car's capabilities - in other words if it doesn't get all the horsepower I don't really care. I appreciate the enthusiasm around car performance - it's just not my thing. I'm sorry if that rubs you the wrong way and I don't mean to offend. ok so that's the back story - here's the current chapter. I am searching for cars in the sub $3k price point. The current conversation is around how to buy cars far away and still get inspections. That's not the way I took the pictures the car was repainted. It's the first year they made the f body which makes it a classic this year. The rims were repainted. The whole car was restored. On the interior to a half black half grey interior. Not missing a single piece. Even the trunk shade. It has a Brand new 800$ center console in it because I didn't want one with seatbelt scuffs on it. The whole car was restored I'm a f body enthusiast. I'm sort of unnerved by someone who would tear about the car while it's listed for sale. Where we were at with the previous thread is giveing me advice about how to get inspections / how to structure the sale of cars that are that far away. The last one is a quick respray special, non-matching panels and overspray. He is talking it up far too much trying for a sale to someone easily impressed. Then again, it may be exactly what you are after for the price. so thoughts on inspections from vehicles 2+ hours away? everyone seems to have some misgivings about that last one. Why don't you start a new thread "Want to buy 93-94 base model Firebird". There's a lot of knowledgeable Firebird folks here, some have cars they'd sell, some who know of cars for sale, some may see base model cars that would be perfect for you while they're looking for performance models. Some might just check their local Craigs List for you. In any case this thread isn't really helping you find a car now that you've narrowed down what you're looking for. MANY more people will read a "wanted" thread. Maybe a fly & drive to the southwest would get the wife on board. Las Vegas for a weekend and drive back the new toy? Here's one. Nice neighborhood, garage, priced in your range, kinda high miles though. https://lasvegas.craigslist.org/cto/d/firebird-1994-original/6610156641.html Probably get the car for 1800-2000 but I'd spend a bit more for one with better paint/lower miles. The search is half the fun, don't rush, it'll come to you. "People get PPI's all the time"
What do I ask for when buying a car? Is there a common name for a mechanical report on the car?